Making an extra income is a great way to increase your savings, but finding the time to work at a second job is next to impossible with our already demanding schedules. And, although online selling is one of the most popular side hustles around, not everyone has enough stuff to sell to make it a profitable side job. So, here is another option: instead of selling what you have, try renting it. Here are some items that you can rent for a nice passive income stream. 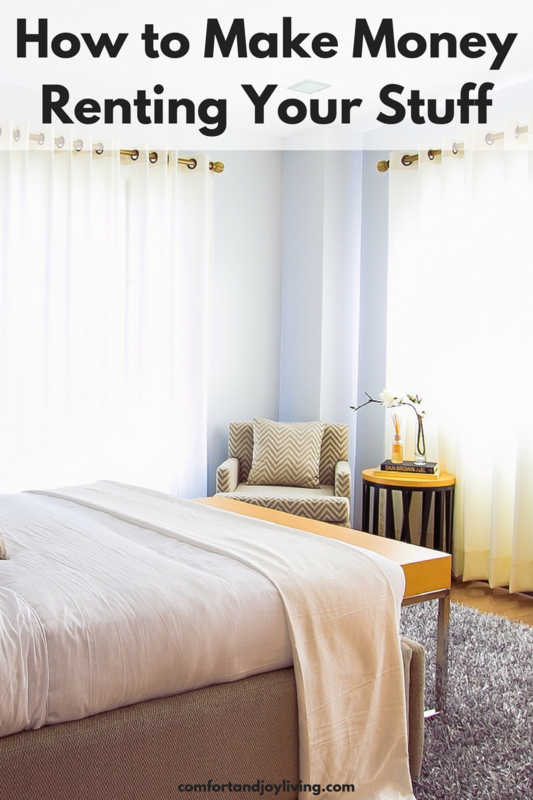 Sites like Airbnb connect travelers with homeowners to rent a room or even your house on a short-term basis. Depending on your location, you may be able to charge rates that are comparable to hotels. Before you place an ad, check your local regulations for any restrictions. Also, before booking someone, ask for references and get a background check. Sites like Uber have helped people earn extra cash driving customers around. If you have the time, you can schedule this around your day. Another option is renting out your car while you’re on a business trip or vacation through a site like Relay Rides. When you go on a weekend getaway, it’s not always easy to bring along a bicycle or ski equipment. Sure, there are brick-and-mortar businesses that rent these items, but sometimes they are sold out or are too pricey. You can use a site like Spinlister to rent out your bike, skis, surfboard, etc. If your husband is anything like mine, he has a tool shed or garage that could compete with Home Depot. Why not profit from his extensive tool collection and rent those tools out for a day, week or month with a site like Loanables. Loanables does take a commission from each loan. Peer-to-peer lending sites like Lending Club and Prosper allow you to invest small amounts as low as $25. Sites like these provide funds financed by regular people like you and me. As with all investments, there are risks, so do your research.